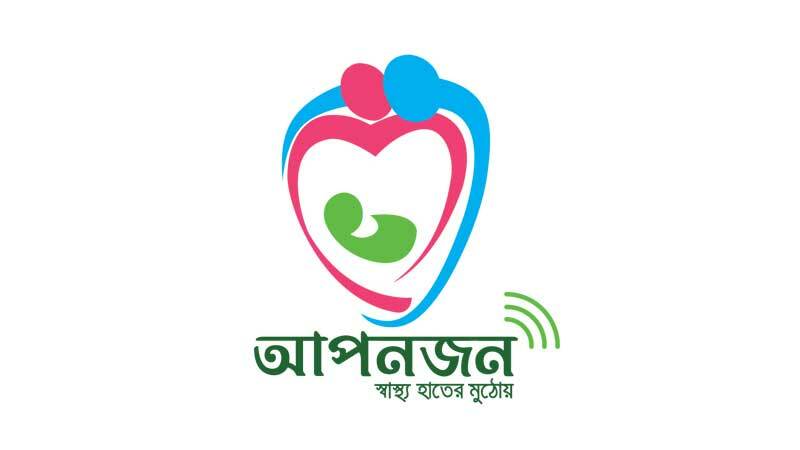 “Aponjon” (“the close/dear one /trusted one ‘’in Bangla) is a mobile phone based mhealth service for expecting and new mothers in Bangladesh under the auspices of Mobile Alliance for Maternal Action (MAMA). Aponjon services are operated under the programme agreement between the governments of USA and Bangladesh. Aponjon services are available in text and voice form through Grameenphone, Banglalink, Robi, Airtel and Citycell. Very soon, the other telecommunication operator, Teletalk will also be connected. A number of new services will also be coming under the umbrella of Aponjon. Aponjon service was launched in September, 2011 in 13 locations of four districts in Bangladesh with about 1500 subscribers on a pilot basis. The national scale operation of Aponjon started in August, 2012. Aponjon aspires to reach more than 2 million mothers by 2015. The service is targeted towards expectant mothers, new mothers up to one year of baby’s age and their family members. Expectant and new mothers are the primary subscribers. Husband, mother, mother-in-law and any other relative can also be part of the service. They are the secondary subscribers. Once registered, the primary subscribers receives two messages and their family members receive one message per week. The message is tuned to stage of pregnancy or motherhood. For making it customized to the stage of pregnancy or motherhood, a subscriber need to give last menstrual period (LMP) date or expected delivery date (EDD) or date of birth of baby. From sixth week of pregnancy a mother can receive the service for a maximum period of 89 weeks. A subscriber can de-register any time, can listen message for previous week or listen to the same message repeatedly. You can register by dialing 16227 and then following IVR menu or by talking to a customer service agent. You can also register through SMS using prescribed codes. To know details of registration, please click here. At a glance, unique features of Aponjon. Contextual to culture and environment in Bangladesh. Option to choose automated push message around self -initiated pull message for voice message service. Week-by-week messages specific to the pregnancy cycle or age of baby. Customized messages targeting urban and rural mothers and their family members. Option to choose convenient time of the day to received voice Message. Option for registered subscribers to call Aponjon counselling line and talk directly to doctors. Availability of trained local community agents at household level to register subscribers. Pro-poor design to deliver the services to at least 20% of ultra –poor subscribers for free. High quality service at low price. 24 hours counselling line only for Aponjon Subscribers. Aponjon service is subsidized; one message costs only BDT 2 (excluding VAT). Registration through SMS is free. You can call to 16227 for more information. Customer service Center is open from 7 am to 11 pm at your service. The Aponjon Logo depicts image of a loving mother with a baby attached to a caring husband. It symbolizes that involvement of husband and other family members is important for achieving better health outcome. Aponjon tag line is: “Power of Health in Every Mother's Hand”.